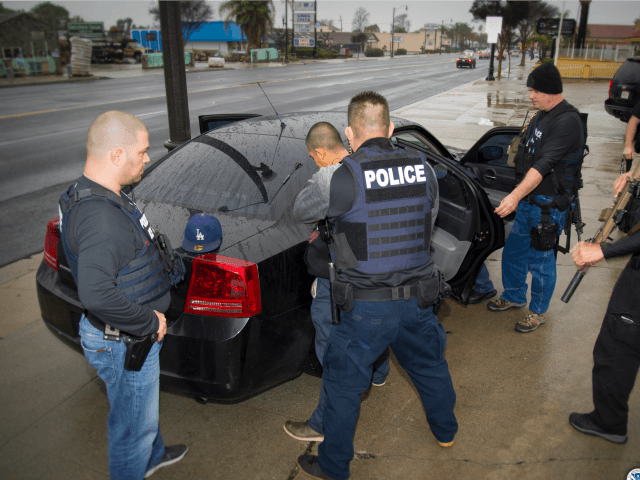 Seventy-five percent of the 680 illegal immigrants swept up for repatriation last week have committed crimes — such as murder — inside the United States, says a Feb. 13 statement from the new head of the Department of Homeland Security. U.S. Immigration and Customs Enforcement “officers in the Los Angeles, Chicago, Atlanta, San Antonio and New York City areas of responsibility arrested more than 680 individuals who pose a threat to public safety, border security or the integrity of our nation’s immigration system,” said the statement from Secretary John Kelly. “Of those arrested, approximately 75 percent were criminal aliens, convicted of crimes including, but not limited to, homicide, aggravated sexual abuse, sexual assault of a minor, lewd and lascivious acts with a child, indecent liberties with a minor, drug trafficking, battery, assault, DUI and weapons charges,” he added. On Sunday, Trump said the arrests were focused on criminals, not on illegal-immigrant workers. The Kelly and Trump statements contradict claims by amnesty advocates that the arrests were aimed at illegal immigrants who had not committed additional crimes beyond immigration-related crimes, such as stealing Americans’ identification information for use in job applications. These groups usually oppose any repatriation, and refer to illegal immigrants as “immigrants,” as if they are part of the annual inflow of 1 million legal immigrants.